You cannot add "Reclining Electrical Wheelchair G04" to the cart because the product is out of stock. At some point of time you need to relax with out any ones help, and while watching TV you want to lay down on your back with out moving your legs, with Reclining Electric Wheelchair you can go out door parties to indoor use. This series of Reclining electric wheelchair are powered by battery , driven by DC Motor.Users control direction and adjust speed by joystick control.It is suitable for application of low speed , good road condition and small slope. Frame Part: frame, wheel, footrest, armrest, backrest etc. Electrical Part: control, motor, battery. Our Reclining electric wheelchair is for disabled and elderly people (less than 100 kg)using as walking vehicle, suitable for outdoor middle distance use.Do not run on the motorways. Please keep your hands on the armrest to control the wheelchair. Please practice in parks or other safe open places until you can use the wheelchair skillfully. Fully practice driving in a safe place, to master principle of moving forward, stopping and turning circles. Before driving to the road, please be accompanied by caregivers and confirm it is safe. Please strictly follow traffic rules of the pedestrian, do not regard yourself as vehicle driver. Please drive on the sidewalk and the zebra crossing. Do not drive on vehicle lane. Steadily drive, to avoid driving in ‘Z’ line or sharp turn. Please keep pressure of pneumatic tire properly, the abnormal tire pressure may cause unsteady driving or excessive lost of current. Drive in bad weather, such as rainy day, heavy fog, strong wind, snow, etc. In case of wheelchair is wet out, wipe the water immediately. Drive on the bad road condition, such as muddy, trail, sand road, gravel, etc. Drive on no fence side ditch, pond, etc. When you have to across railway, pause at turnoff to confirm it is safe, and make sure that the tires will not be stuck by railway. The electric wheelchair is only for personal use, do not carry people or goods, and do not for a traction purposes. Avoid driving on following places: steep hills, tilt places, high steps, channels etc. Avoid driving on steep slopes, the slope range should be less than 9 degrees. Please carefully operate the control when drive on slopes. Keep moving forward during uphill or downhill. Slow down speed during downhill. Avoid driving sideways on the steep. Forbid driving on the stairs place and avoid crossing high steps. During crossing ditches, keep 90° angel between tires and the ditches. Wrong operation of replacing battery may cause danger of explosion. Only the same or Reclining Electric WheelChair recommended type of battery is suitable for replacement.Make sure the battery poles are correct. Key Points for prolong the battery life:Charge frequently, to keep battery power full. It’s better to fully charge the battery if the wheelchair is not being used. If stop using for a long time, it’s better to charge twice per month. All LED lights are unlit with no in standby or sleep mode. electric wheelchair can work remaining. extremely inadequate. malfunction, and is not able to charge. indicator lights blink twice malfunction. or the wire is disconnected. indicator lights blink four times malfunction. or the wire is disconnected. Six short beeps with five Control is in over-current motor drive mechanism is stuck. indicator lights blink six times protection status. indicator lights blink eight times maintenance. indicator lights blink nine times maintenance. checking is done automatically. For more your attention, we particularly list these self-checking items in A area. C area For safety, semiannual overall maintenance is needed. This can use indoor and outdoor and can lead independent life with out attendant. 20AH battery gives more storage power and can use more time. Easy to carry in car,easy fold able it leads to more mobility of person and attend all his or her requirements. Can be Converted to manual mode easily by removing lock. Three way adjustable joy stick left,right and also attendant controlled from back side. Supplier history and many customers all over India.Availability Nearest customers feed back to your place. All over India Supplier Logistics. 100% customer satisfaction for the price. Purchased it for my grand mother. It was really useful for her without any help of others.. Medicalbulkbuy site provided it with very reasonable cost. Very satisfied with Reclining option, when I want to lay down while watching TV, it is amazing! No need to go to bed, I can take rest in my own chair! Thanks to medicalbulkbuy.com to get this with very reasonable price. We bought this for my elder brother who needs this and he was very confident and enjoying his life! Good one, serving my purpose with out asking any ones help. 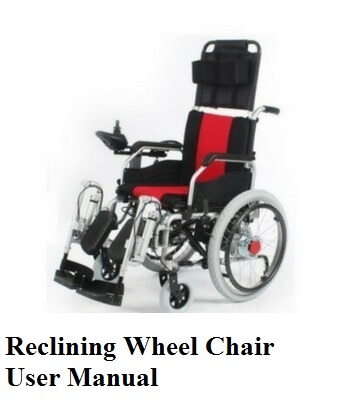 powered wheelchair(Reclining) is one of the best in that kind of low price..good functioning….seat must be well cushioned in future…fordable too…best for small traveling…can take rest for some times in the chair itself…all in consider best for old aged and stroke patients…. Very comfortable wheelchair especially while I need to take rest, no need to go to bed!, just can relax in the wheelchair itself. Comfortably I can go out and in with out help of anybody.